Symeo 3D-AntiColl is a flexible and easy-to-configure assistance system for preventing any type of vehicles from colliding with other objects. The software can be used to easily set up parameters for creating warning and stop signals. 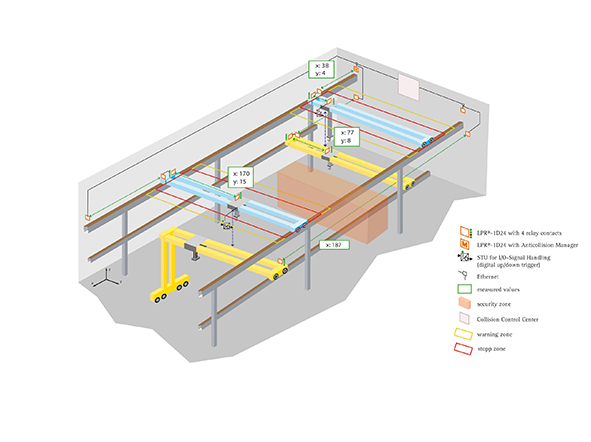 By measuring the dimensions and speeds of participating objects, the system dynamically establishes the scale and orientation of the necessary safety zone. Each system participant continuously sends this information while simultaneously receiving movement reports from the other objects. Warning messages containing position and motion vector information can be displayed on a monitor. Collision objects can also be stationary, such as a building. The software operates in a completely decentralized environment. Symeo Collision Control Center (CCC) is a modular assistance and management system developed especially for crane anti-collision applications. CCC can be called up via a web user interface in any browser. The software makes it easy to configure triggers for warning and stop signals. The system is capable of tracking cranes with various dimensions, even at different heights. The individual crane anti-collision environment can be easily simulated and stored in the CCC. Cranes can also prevented from crossing over pre-defined safety zones. Safety zones can be individually adapted on the fly. The positions and speed of the cranes and trolleys are measured with the highly-reliable wireless system LPR®-1D24. The data is transmitted via the integrated LPR® wireless data link or via Ethernet. Symeo´s Collision Control Center visualizes and monitors the position of all participating objects in real-time. Symeo SensorFusion is an embedded, signal processing software system developed by Symeo. This powerful software allows the Symeo measurement systems to provide a uniquely high degree of accuracy, signal availability and reliability. 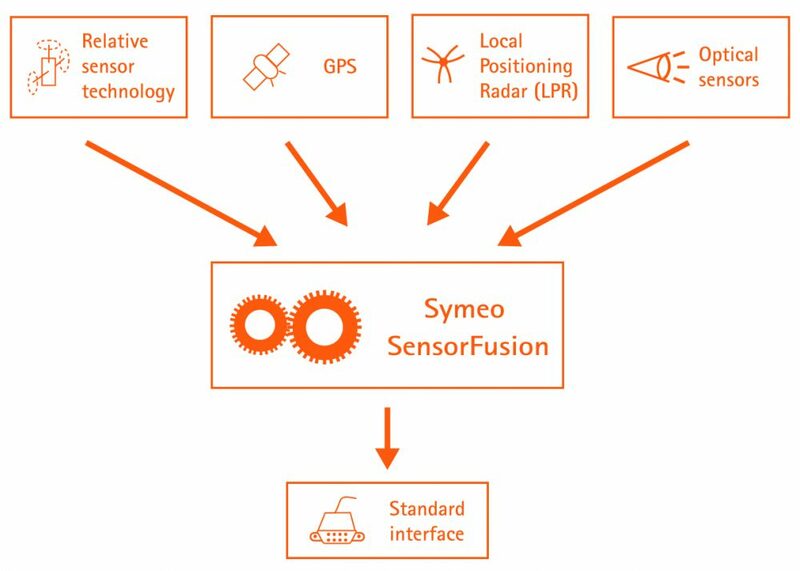 Symeo offers a wide selection of industry- and application-specific SensorFusion modules that support applications such as vehicle and crane positioning in steel works and container terminals, as well as bus and rail vehicle positioning systems. Our commitment: precise position detection solutions that you can depend on, anytime and anywhere. Get in touch with us and discover for yourself just how powerful our systems really are.